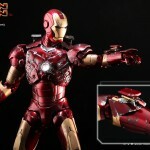 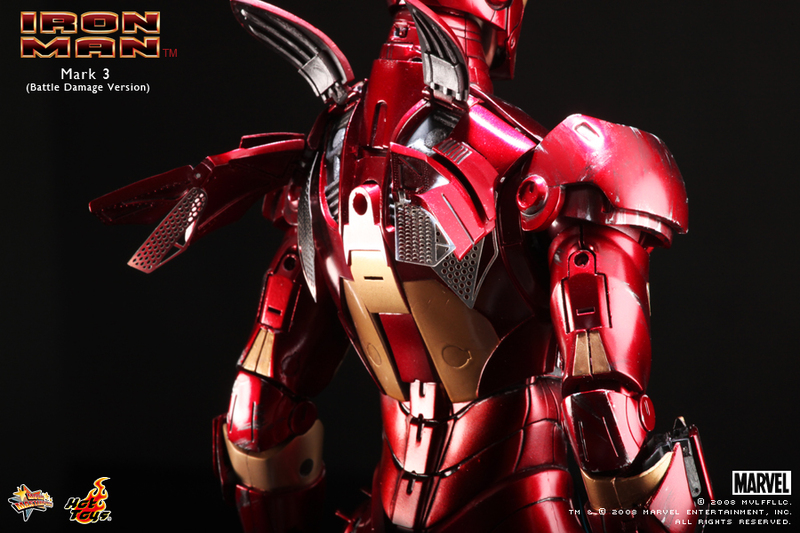 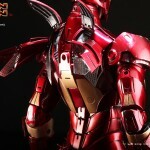 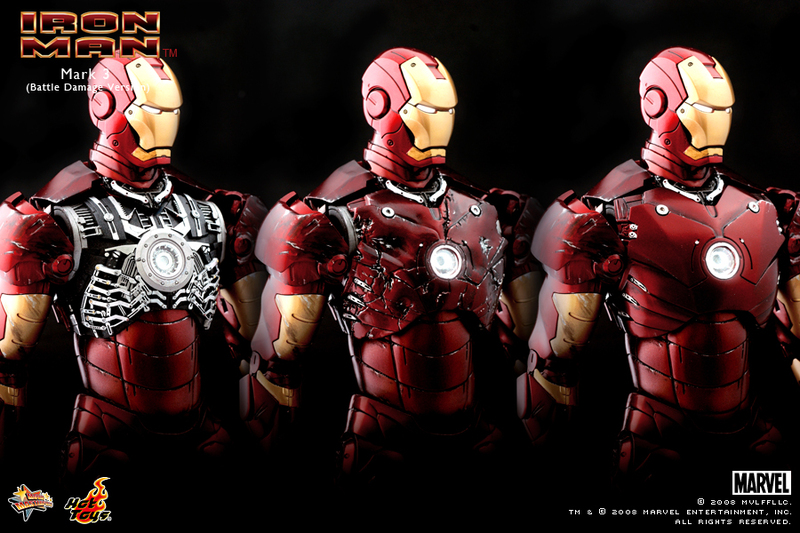 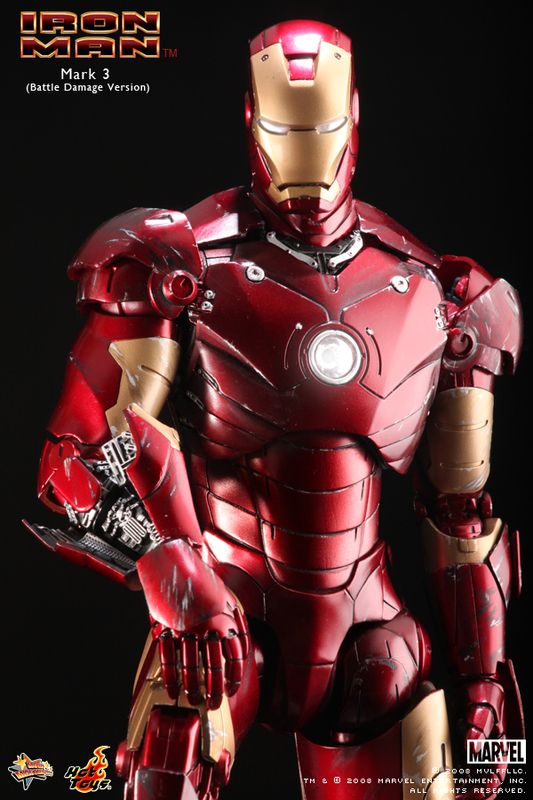 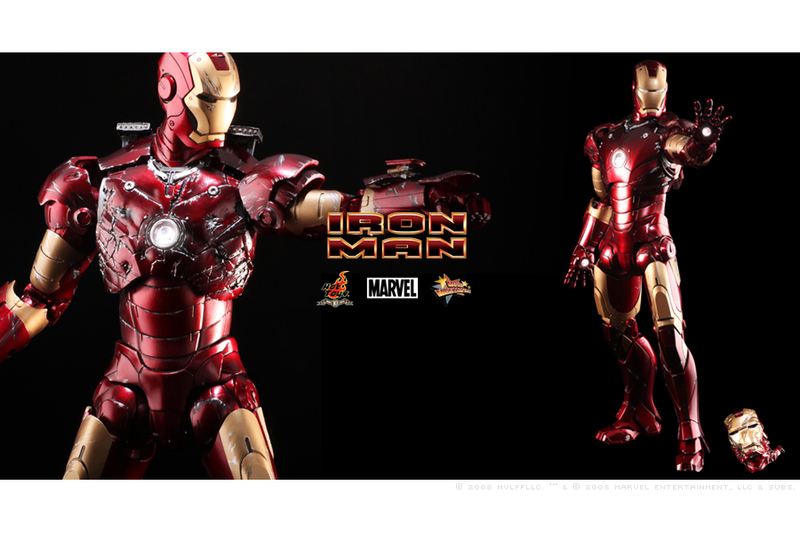 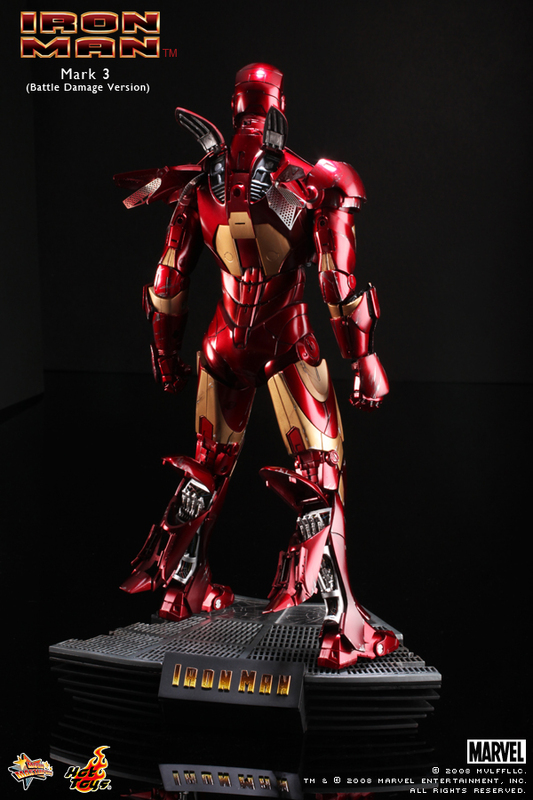 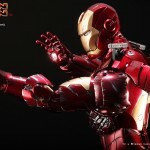 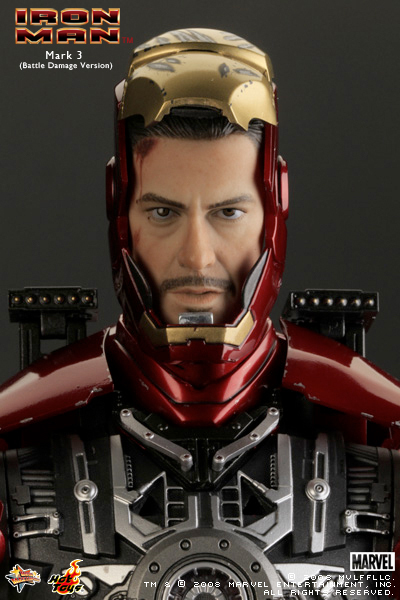 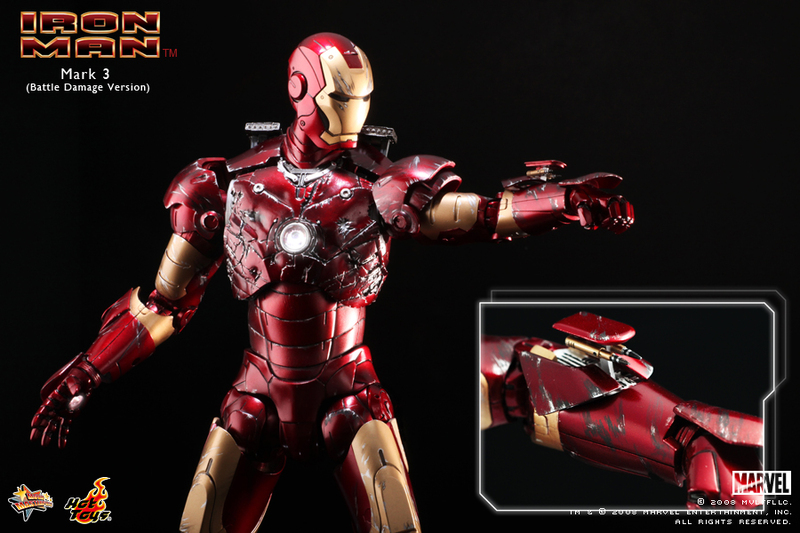 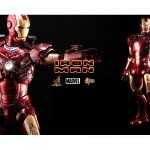 Hot Toys has sent out a new gallery of their upcoming Movie Masterpiece Iron Man Mark III Battle Damaged Version with bonus Battle Damaged Helmet. 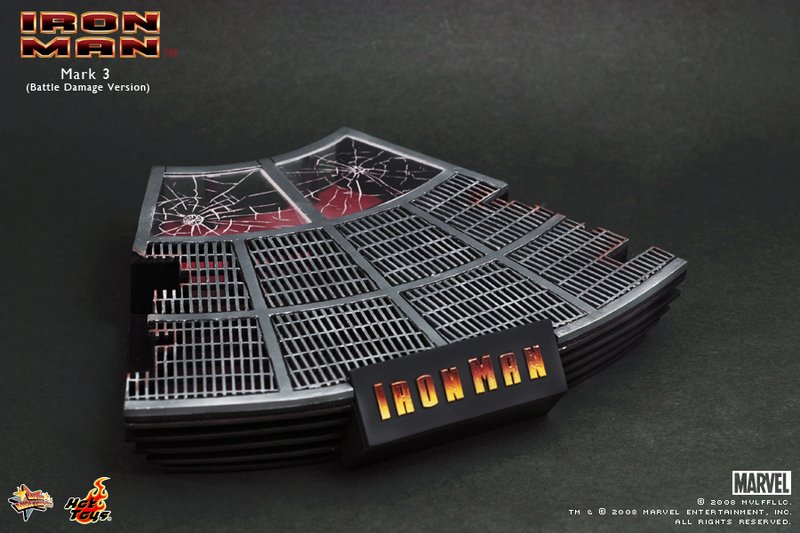 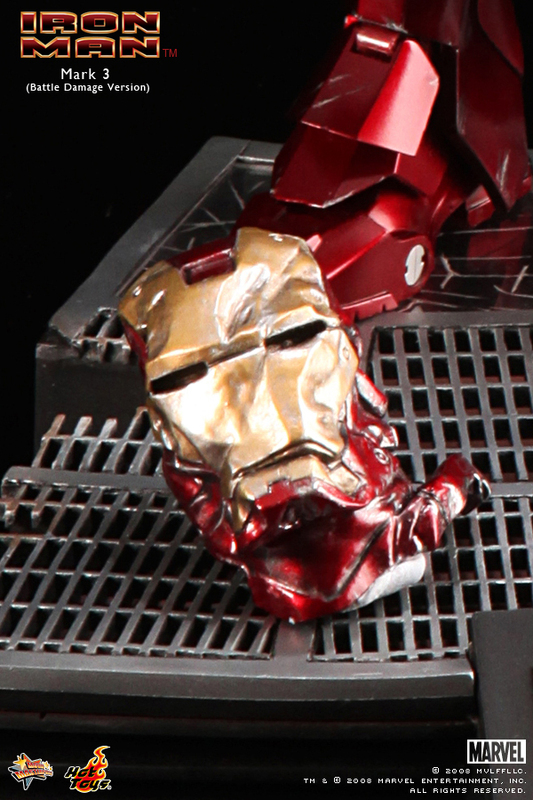 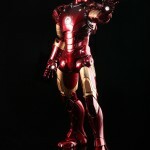 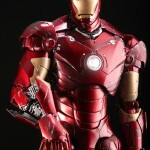 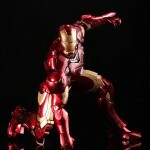 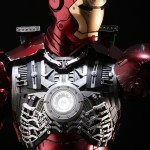 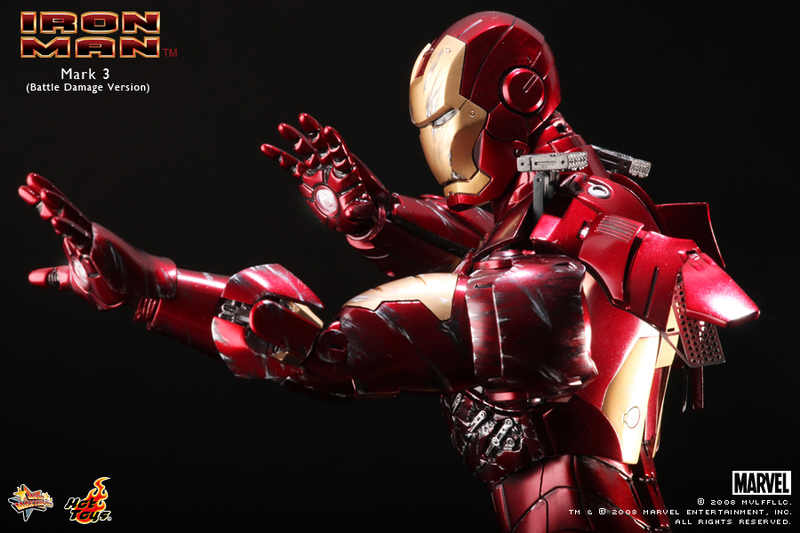 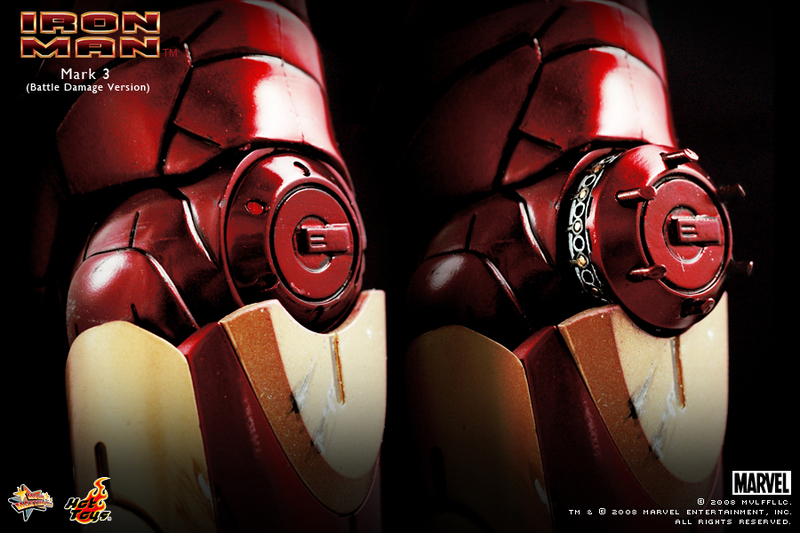 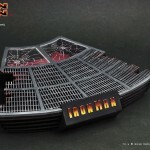 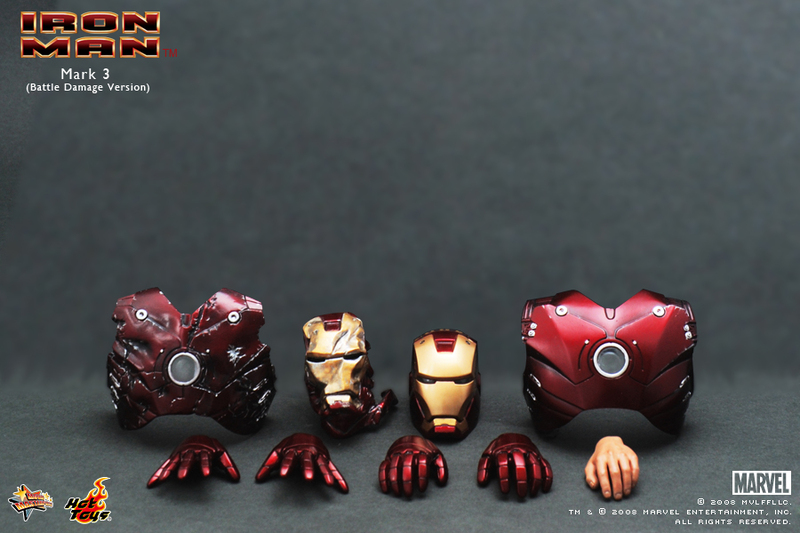 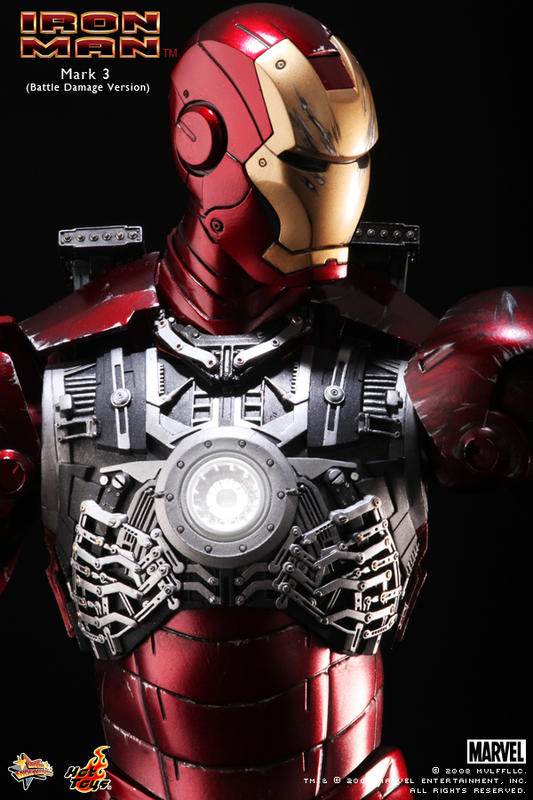 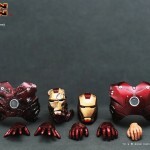 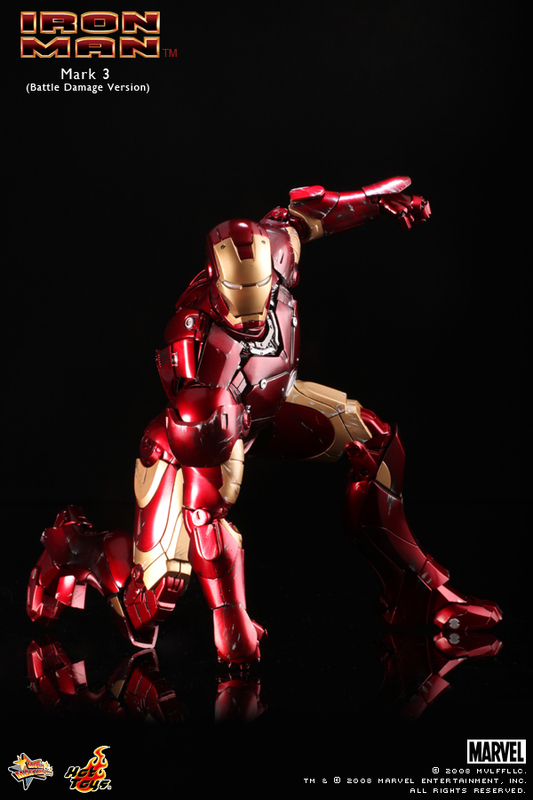 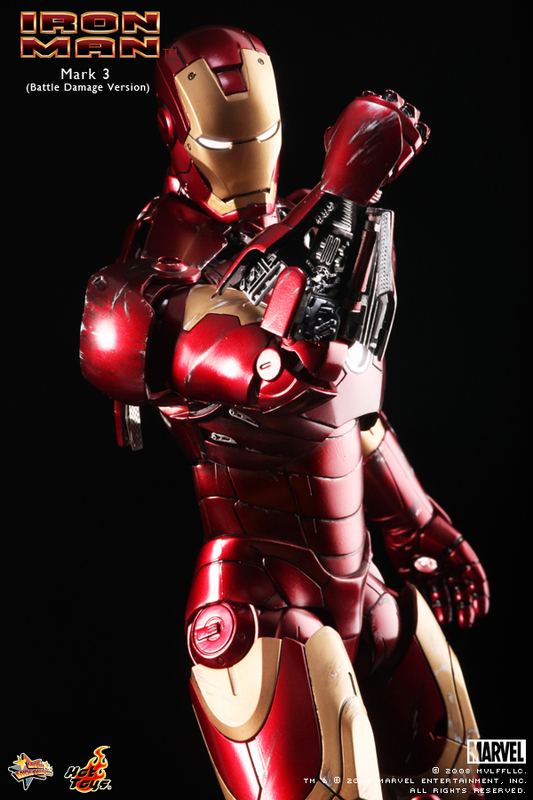 This version of the previously released Battle Damaged Mark III will be limited to 100 pieces and will be out June 30, 2010 at a price of 24,000 Yen (about $261 USD). 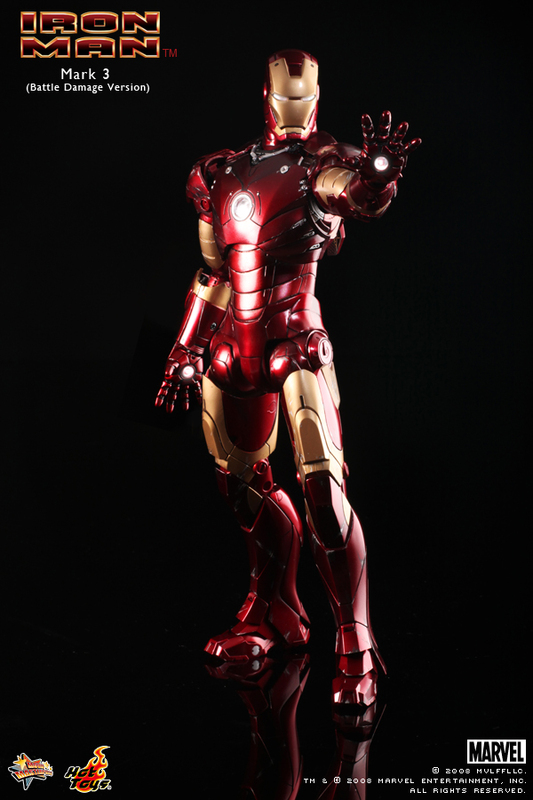 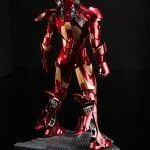 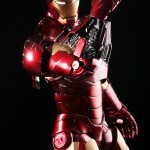 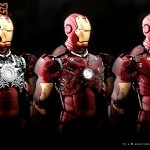 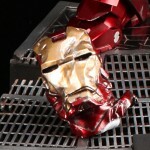 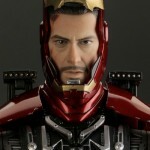 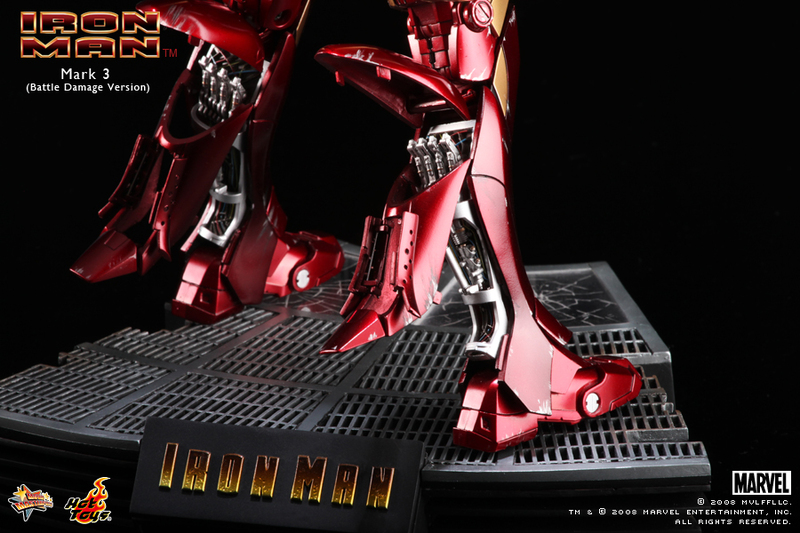 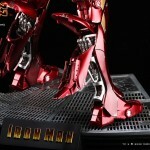 The previously reported price of 25,000 Yen has been adjusted by Hot Toys. 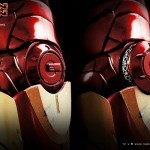 See all of the high resolution images by clicking the headline of the story.